Today five Partner of HSP work together with 18 team members of consultants, project managers, researchers, and back office. We work in close collaboration toward the success of our clients. Our team members possess extensive know-how in their respective fields of expertise; additionally, we have cross-industry specialists in specific functional areas. Ultimately, the choice of the “right” consultancy is determined not only on the basis of professional expertise; another important facet is the personal aspect, which is perceived in the course of discussions, in mutual understanding, and recognized while working together. Our clients value will be our professionalism and our success, our knowledge of the industry and our networks. But above of all professional value our clients believe in the authenticity and personality of our partner and employees. Bernd Hülsenbusch launched HSP in 2002 together with Andrea Stemberger. He was one of the first consultants to concentrate on specific business sectors through verticalization. He worked at Heidrick & Struggles for many years successfully on the development of TIME Industry, and still advises clients from this sector. At HSP he also can put into practice his interest in technological progress. This includes the areas of digitalization, Industry 4.0, the Internet of Things, new mobility, etc. Since 2003, with his partners and team, he has been recruiting the leaders who are changing our world and moving it forward. Following a broad range of professional experience in the fashion and textiles sectors, pedagogical and psychotherapeutic training and professional development, including experiential psychotherapy, systemic work, trauma therapy, and resource coaching, in 2000 Andrea Stemberger became an independent coach and trainer. 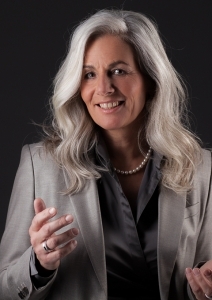 In 2002 she established together with Bernd Hülsenbusch the HSP Competence Network, and since then has been responsible for developing the coaching segment. Her specialties include taking a closer look, ‘half-empty/half-full’ filtering, and providing refreshing and creative support for new experiences, whether professional, personal, or in the context of the company or team. 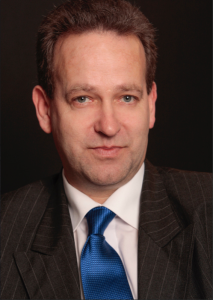 For over 25 years, Peter Puneßen was actively involved with manufacturing companies in executive and personnel management functions. He is therefore quite familiar with human resource consulting from the client perspective. His many years of operative experience have given him a very practical manner of working. 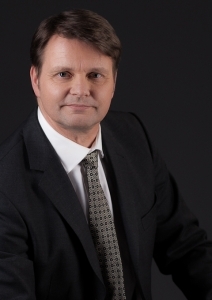 Peter Puneßen came to HSP in 2006 and is responsible for development of the industry-oriented, manufacturing sectors as well as building engineering. His focus is on filling sales and technical positions. Following her business training, Angelika Schweiger was key account manager in the dental sector for over 5 years. Before she joined HSP in 2003, she worked for consultancies including CETRA, Kienbaum, Civitas, and Transsearch. She handles the luxury goods, sporting goods, watches, eyeglasses, cosmetics, and OTC sectors. In addition, Angelika provides coaching support for individuals in career orientation phases. Mr. Küsters offers more than 25 years professional executive search services. He emphasizes on professional services with a special focus on auditiong companies and strategy consulting firms, insurance companies and will have a good relationship in to manufacturing and waste management industry. 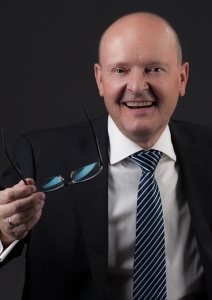 Since 2004 he works as a self-employed management consultant in cooperation with the HSP Competence GmbH. Michael Küsters started his executive search career more than 14 years for companies such as Ward Howell, Mülder & Partner and Heidrick & Struggles. All his clients from the last 25 years estimated his commitment and his high-quality work. Bettina Nöhles joined HSP as a partner in 2004. She is responsible for clients in the health sector as well as IT and e-business related areas. Cross-industry, she supports clients in filling technical leadership positions (CTO/CIO/CDO). Following graduation, she worked at Odgers Berndtson, and later at Peat Marwick Management Consultants in the pharmaceutical and healthcare sectors. In 2000 she founded her own consultancy, where she and her team predominantly focused on fast-growing companies from the e-business sector. She has been a lecturer at the School for Applied Management in Erding since 2013.